"Flame-lurid his face as he turned among the throng of flame-lit and dark faces upon the platform. In the light of the furnace she caught sight of his drifting countenance, like a piece of floating fire." David Herbert Lawrence (11 September 1885 - 2 March 1930) was an important and controversial English writer of the 20th century, whose prolific and diverse output included novels, short stories, poems, plays, essays, travel books, paintings, translations, literary criticism and personal letters. His collected works represent an extended reflection upon the dehumanizing effects of modernity and industrialisation. 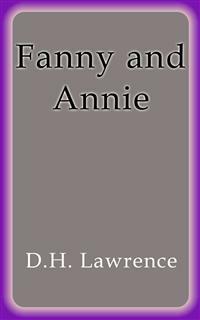 In them, Lawrence confronts issues relating to emotional health and vitality, spontaneity, sexuality, and instinctive behaviour. Lawrence's unsettling opinions earned him many enemies and he endured hardships, official persecution, censorship and misrepresentation of his creative work throughout the second half of his life, much of which he spent in a voluntary exile he called his "savage pilgrimage." At the time of his death, his public reputation was that of a pornographer who had wasted his considerable talents. E. M. Forster, in an obituary notice, challenged this widely held view, describing him as "the greatest imaginative novelist of our generation." Later, the influential Cambridge critic F. R. Leavis championed both his artistic integrity and his moral seriousness, placing much of Lawrence's fiction within the canonical "great tradition" of the English novel. He is now generally valued as a visionary thinker and a significant representative of modernism in English literature, although some feminists object to the attitudes toward women and sexuality found in his works. Flame-lurid his face as he turned among the throng of flame-lit and dark faces upon the platform. In the light of the furnace she caught sight of his drifting countenance, like a piece of floating fire. And the nostalgia, the doom of homecoming went through her veins like a drug. His eternal face, flame-lit now! The pulse and darkness of red fire from the furnace towers in the sky, lighting the desultory, industrial crowd on the wayside station, lit him and went out. Of course he did not see her. Flame-lit and unseeing! Always the same, with his meeting eyebrows, his common cap, and his red-and-black scarf knotted round his throat. Not even a collar to meet her! The flames had sunk, there was shadow. She opened the door of her grimy, branch-line carriage, and began to get down her bags. The porter was nowhere, of course, but there was Harry, obscure, on the outer edge of the little crowd, missing her, of course. 'Here! Harry!' she called, waving her umbrella in the twilight. He hurried forward. 'Tha's come, has ter?' he said, in a sort of cheerful welcome. She got down, rather flustered, and gave him a peck of a kiss. Her soul groaned within her, as he clambered into the carriage after her bags. Up shot the fire in the twilight sky, from the great furnace behind the station. She felt the red flame go across her face. She had come back, she had come back for good. And her spirit groaned dismally. She doubted if she could bear it. There, on the sordid little station under the furnaces, she stood, tall and distinguished, in her well-made coat and skirt and her broad grey velour hat. She held her umbrella, her bead chatelaine, and a little leather case in her grey-gloved hands, while Harry staggered out of the ugly little train with her bags.